5 Fields Hiring Data Scientists For 2019 - Are You In These Fields? We know data science is a booming field, commanding top salaries in the United States and building massive demand here and abroad. The downside? Not all business can afford an on-staff data scientist. The truth is, not every business or organization has the need for a dedicated data scientist, and few can afford one. Many are turning to SaaS models to fill the void more affordably, but that doesn’t mean you’re out of a job just yet. You just need to know where to look. Industries hitting that sweet spot between needing a data scientist and being able to afford one are better places to look than your standard, generalized job search. Here are five key fields to watch in 2019 and beyond. Telecommunications is an estimated $1.4 trillion industry for 2019. What does that mean for you? This industry has the need and the capital to invest in data scientists to help wrangle those massive points of data. Data wrangling in this industry means monetization. Telecommunications is heavily focused on user experience, whether providing that data for businesses or understanding the way businesses themselves interact with large data providers. 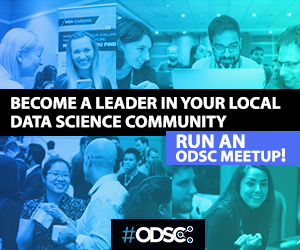 Data scientists in this field help build systems that report, track, and improve on user experience in real time. Some notable projects continuing to happen are sentiment analysis, facial recognition (happening for large scale AI projects designed to target advertising in real life through smart billboards, for example), churn prevention, and network optimization. 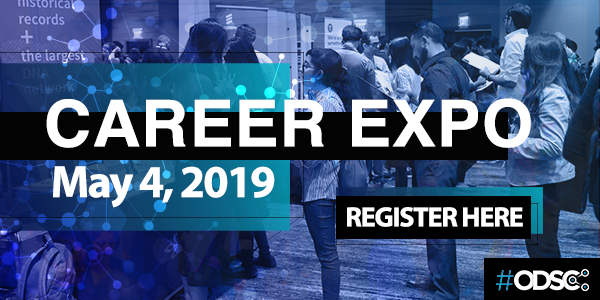 Job search returns for “Data Analyst” and “Data Scientist” within the telecom industry returned a combination of career numbers in the thousands overall. The average salary was well over six figures and locations varied across the United States. It’s a lucrative field with plenty of big projects on the horizon. Manufacturing may not seem like a ripe field for data science, but big manufacturing is undergoing a restructuring designed to keep up with large scale consumer bases and rising living standards worldwide. Manufacturing is primarily a game of predictions. Predict demand too low, and you end up with a frustrated consumer base that defects to a competitor or alternative product. Predict too high, and you eat the cost of product that won’t move. Here’s where a data scientist comes in. Manufacturing that can analyze massive data to balance supply and demand creates steady revenue based on customer behavior. Consumers are notoriously unaware of what they want, making self-reporting useless, but using big data to track actual behavior gives the industry a much clearer picture of market trends and shifts. Big data also gives companies a heads up with predictive maintenance, optimizing mandatory downtime for those maintenance requirements and getting companies back up and running as quickly as possible. The challenge here is that big data platforms weren’t built with manufacturing in mind, giving data scientists a chance to transform an industry with (relatively speaking) few use cases available. It’s a wide open field. Energy is changing whether we’re ready or not. Deep data analytics is replacing human labor, providing better margins of error in critical maintenance, risk analysis, and innovation trends. Let’s look at a specific case you may all remember. In 2010, BP’s Deepwater disaster led to one of the worst environmental disasters humanity had ever seen. It resulted in a final fine tally of billions and an environmental toll we’re still reckoning with. Energy is dangerous, and supplying a steadily increasing world population is a numbers game outside of human capacity. The company created the Center For High-Performance Computing to utilize data similar to the way the healthcare industry performs a survival analysis. Data science can improve production, predict maintenance downtime, more accurately assess risk, and create reliable forecasting. These large energy companies are employing teams of data scientists to help wrangle this data, but soon smaller companies could get on board. Even the way we receive energy is changing. Recent entries to the blockchain sector using cryptocurrencies as a means of energy transfer for individuals open new avenues for data science to explore including ways for traditional energy providers to stay relevant. By current estimations, nearly 30% of the world’s data is stored and owned in the healthcare industry. If that isn’t reason enough to warrant data scientist hiring, here are a few other statistics. The average patient generates 80 MB of data per year, and the valuation of harnessing that data could be as high as $300 billion annually. The healthcare industry is only just beginning to own this data. The laborious switch from paper systems happened relatively recently, and the industry itself still isn’t sure how that data should flow from the patient to doctor and back again. The sheer amount of raw information has a lot of potential, but few players in this industry are actually using the data they store. Ethics concerns aside, as few as 10% of hospitals have robust warehousing capabilities with most hospitals scoring in the 2-3 out of 8 range of Health Catalyst’s Analytics Adoption Model. Right now, the healthcare industry hasn’t hired enough talent to meet demand, but those numbers are rising. Considering the rise of health wearables, predictive diagnostics, and using big data on the research spectrum, this industry is ripe for a hiring explosion. Finance employs about 10% of data scientists currently working in the field and with good reason. Big banks and financial institutions certainly have the cash flow to hire dedicated data scientists, and many of them are recognizing the relative value of that data. Security is a primary concern, and accurate consumer predictions are the first step in preventing that fraud. Behavior is an illuminating indicator of fraud because consumers are so, well, predictable, and leveraging deviations in that prediction improves security in a world rife with security breaches. Finance also needs data scientists in research and development. Cryptocurrencies and the blockchain are changing how consumers interact with traditional financial institutions, so if JP Morgan, for example, wants to be around in the next ten years, they have to stay ahead of development. All of these industries have been irrevocably influenced by big data and harnessing it for monetization will separate who survives the coming changes and who grows more obsolete. Key players in these industries recognize this shift and understand that employing data scientists and not just relying on a hybrid SaaS model or a programmer with no data science experience isn’t going to cut it. Target these industries, and you could find yourself looking at lucrative and secure employment for 2019 and beyond. 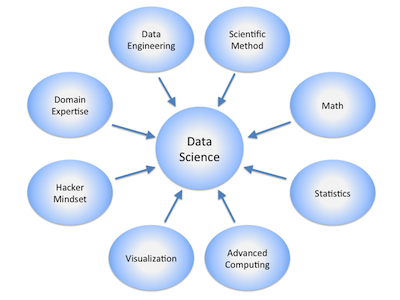 Editor’s note: Ready to get a career in data science? 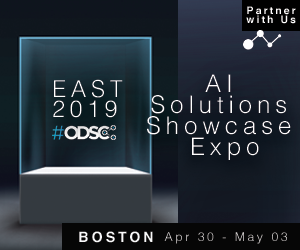 Attend the ODSC East 2019 Career Expo this May 3-4 in Boston!